As a writer – I’ve always had a writing desk in the place I call home, but sometimes, I need to get out of the house for a change of scenery. This is especially important when I’m feeling blocked – because going somewhere forces me to sit down, open my computer and write. There are no dishes that need washing or clothes that need folding; there is really only one thing to do (once I turn off the internet of course – click here for more on that). 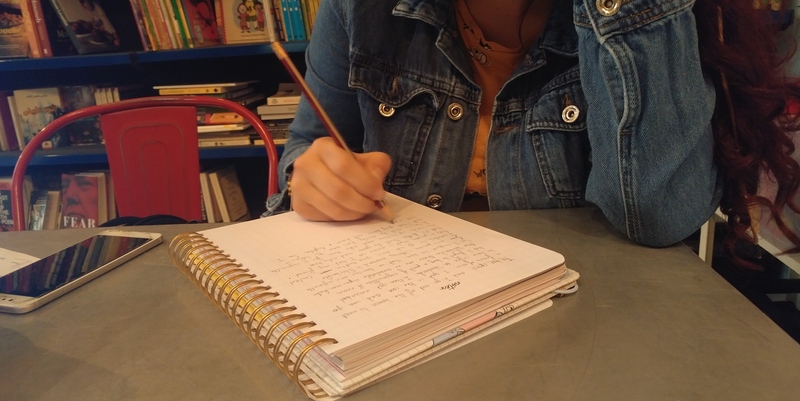 In a city like Beirut, you have a lot of options of spaces to write, but very few have a mix of creative vibes and comfort without breaking your bank account. Keep in mind, this is not a paid promotional article, meaning, no one asked me for any advertising, this is simply my honest opinion. 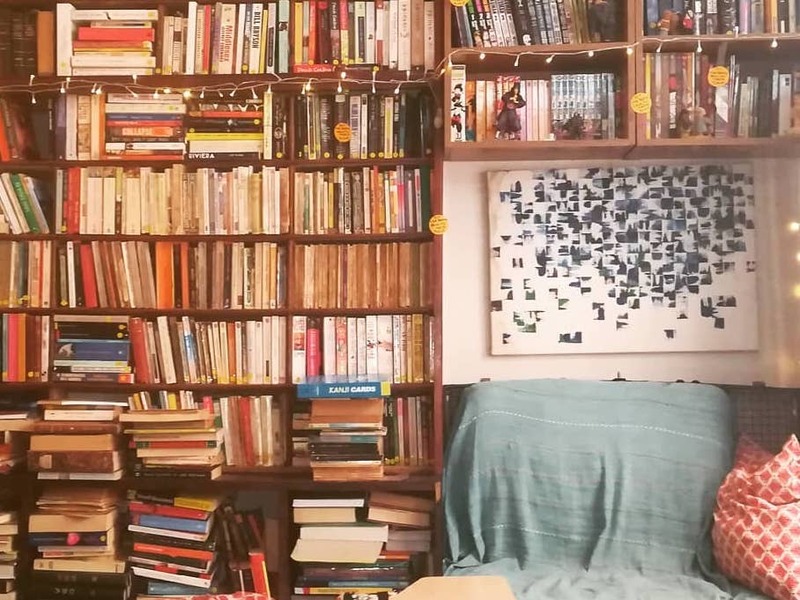 If you’ve ever seen my personal or FADE IN: instagram– you know that I spend a lot of time at Aaliya’s Books. 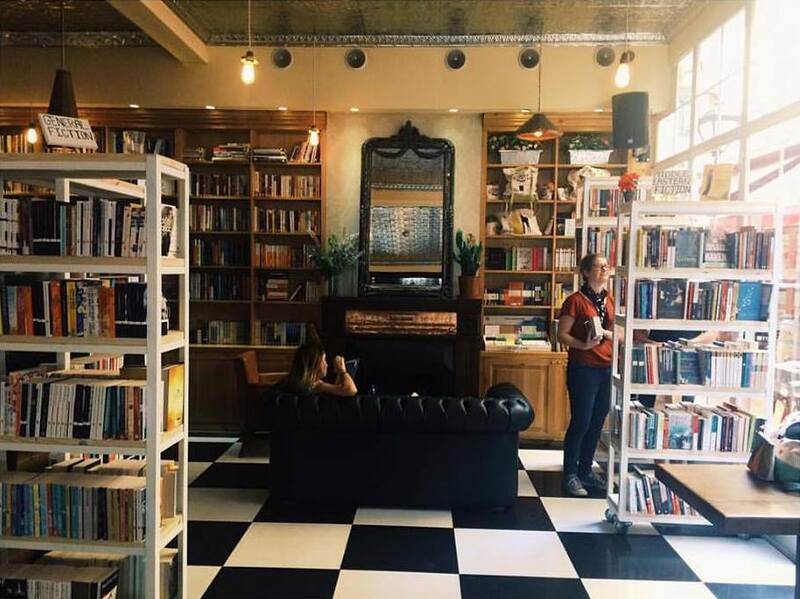 Just like it sounds, this cafe/bookshop hybrid is a place where you are surrounded by books that are carefully curated by the owners. If you ask them a question about a book or you need a recommendation, they know what they’re talking about. Being in this literary atmosphere is like emotional comfort food and it feeds my creativity. Speaking of comfort, the tables in Aaliya’s make it easy to open a laptop and write, with plenty of outlets to plug in and get to work. If you’re into lounging with a notebook or procrastinating with a good book, there’s a couch by a fireplace and outdoor seating with a ceiling of colorful umbrellas. The best part? Aaliya’s offers free refills on American Coffee and free water for as long as you’d like to be there. And they’d love to have you. 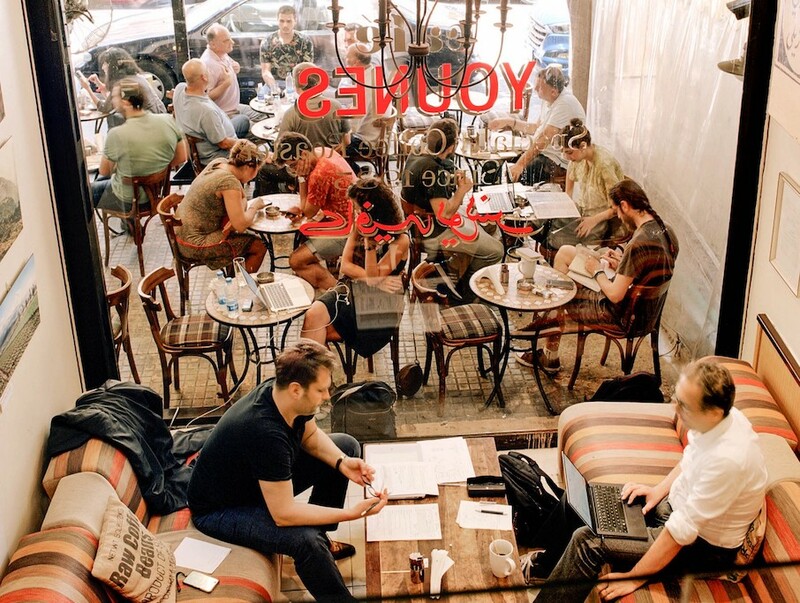 This charming workspace is located on the corner of Armenia street at the train station side of Mar Mikhael. It’s close enough to the bustle of the city, but removed enough so you feel alone there. When you climb the stairs to enter the space, it’s as if you’ve put mute on the sounds of the city and you’ve entered a relaxing environment where you can get thinking and get writing. The seating is made for writers – wide desks, comfortable chairs and I dare you not to find an outlet near you to plug in your laptop. What I love about the furniture is I can use a tiny bit of space just for my laptop, or I can spread out my entire notecard collection comfortably as I consider the structure of one of my stories. The concept of the space is hourly and self-service and you just go up to the bar and fill up your mug whenever you feel like it. Anyone who has spent a whole day in a café and is addicted to caffeine knows that this is a steal of a deal. When I feel like taking a little break from my desk work, I step outside on the terrace and turn up the sounds of the city once again. This little gem of a café is just so lovely, you can’t help but want to stay there and take in the ambiance. It’s got an entire wall of windows so the natural light makes it cozy, it’s family run so it feels very personal, and the décor is simple and made of natural wood. 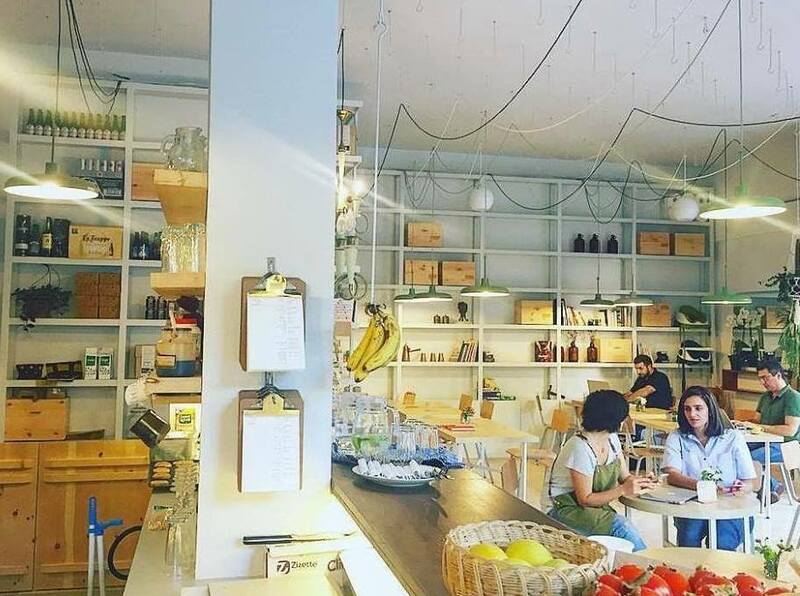 Its shelves are lined with local artisan products – like notebooks or local food – and the coffee is delicious. Artists frequent HOOK, and spend hours drawing, writing and creating. It’s inexpensive and offers daily soup and snacks. It closes at 7:00pm on weekdays, 8:00pm on Saturdays and it’s closed on Sundays, so it’s for the day-time writers in all of us. If you haven’t tried it, give yourself a treat and go there to sit, reflect and have a cookie. They’re seriously good. A Public Library, Art Laboratory, Craft Studio and a Creative Space also known as the public living room, Aleph B is lined with books and cool stuff everywhere, making it a cozy haven for your creativity. You’ll always find something new to look at, or observe one of the owners as they craft dream-catchers. The seating is comfortable for writers, with desks that are conducive for sitting up straight and typing on a laptop. When you need to lounge, there are plenty of couches and when you need love, there are two beautiful cats ready to cuddle with you. People who frequent Aleph B that don’t actually work there love the space so much, they are ready to answer any questions about the menu or the books on display. It’s like a family. Speaking of family, the food is made with love and it’s hearty, just like home cooking. As long as you’re not allergic to cats, go to Aleph B for a home away from home. For some reason, Younes café has always held a special place in my heart. Ok, the reason is the insanely good coffee. Like, really good. It’s probably the most pricey café on this list and I can’t see them ever offering even one free refill of anything, but hell, I’ll pay whatever they tell me to. 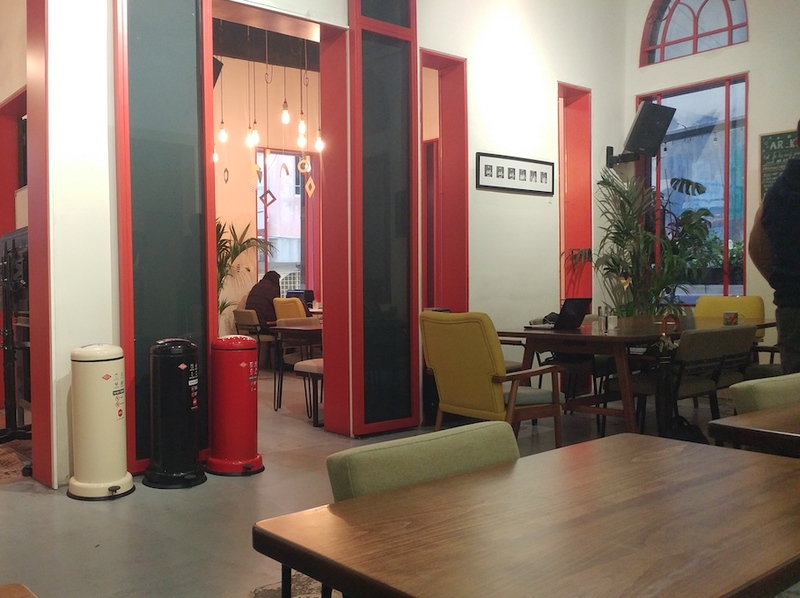 In the Hamra location, there are a few wide desks upstairs, so if you can get them before they fill up, it’s a great space to spread out all your work. They have small, bar-like seating areas upstairs so you have a nice view of the outdoors without noisy distraction. The outside seating area can get a bit loud with traffic, but it’s fun to be surrounded by so many languages; one time I heard conversations in Arabic, English, German and French. Younes has expanded all over the country with locations in Sodeco, Achrafieh, Aley and Chouifet; I’m just glad they kept up the quality of their coffee.